We build houses to maintain an inside environment different from the one outside, a necessity during hot summer months! Wood flooring reacts to the environment it is in. 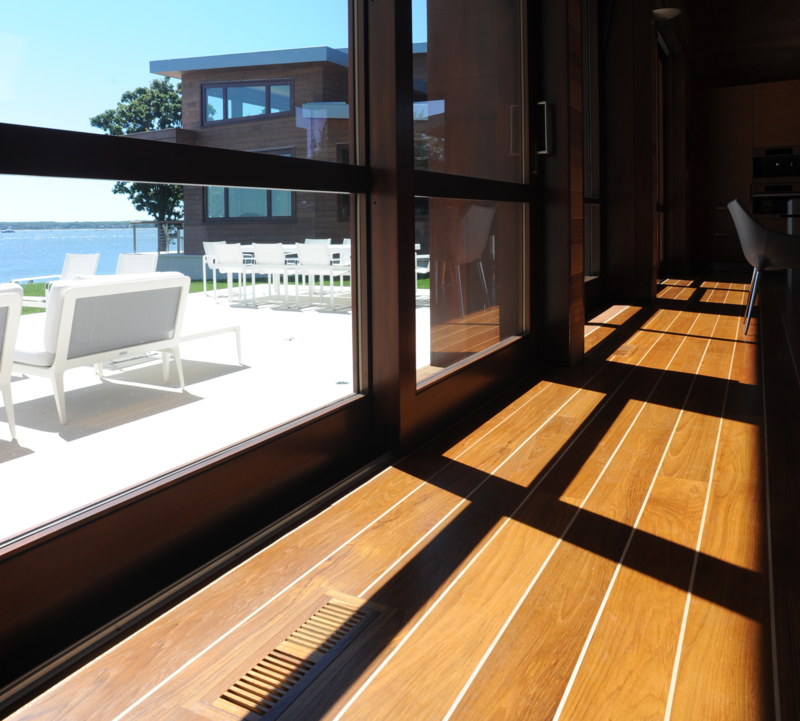 Just as humidity is not conducive to a stable, consistent wood floor, air conditioning can do an equal amount of damage. Summer temperatures may tempt you to crank the thermostat down but be mindful of how your floor may react to the climate changes. Wood gains or loses moisture and gets bigger or smaller based on the moisture content and temperature of its surroundings, respectively. Air conditioning systems can help remove moisture from the air and help control indoor humidity levels, when used properly they are an extremely helpful tool. Indoor temperatures that are too low will cause unwanted gapping between planks. Here are a few guidelines to keep in mind when during the sweltering summer months. Relative humidity (RH) should remain in the range of 30 – 50 percent. A consistent, stable environment will result in a more stable, consistent wood floor. Whether you enjoy the extreme heat or the freezing cold, it is important to maintain a consistent temperature in your home. Follow these few simple rules and your floors will stay put during summer!